Every July, Amazon holds a Christmas summit event. They lure in the top technology websites and showcase the expected Christmas hits. It’s a jovial affair and a great opportunity for the blogs to give their readers an early insight into the big hits, and for the shopping giant to get some nice early exposure. 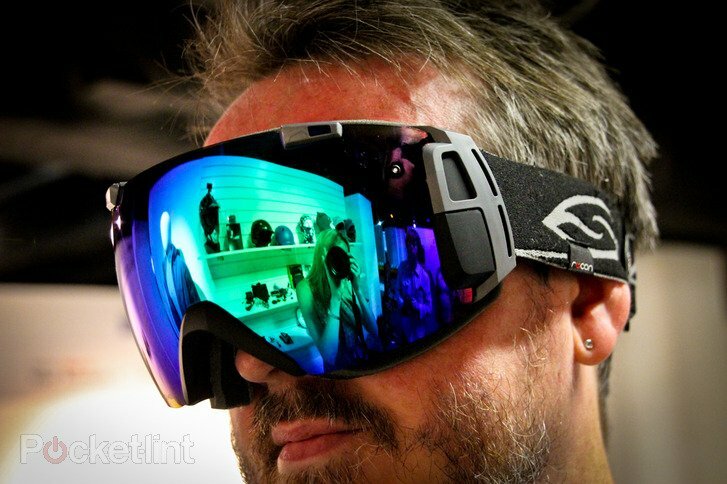 This year it’s all about the Smith Optics I/O Recon Goggle – a ski goggle which includes Google Glass features. The first bit of interesting news is that this product is going to be a UK excusive, meaning it will only be carried by amazon.co.uk. The actual Ski goggles are not new, having first hit the shelves in America at the end of 2012. Since then they have been pimped up, with the addition of an android powered Recon display unit. It is the latter part of this package that will get any skier excited. The goggles are comfortable and practical. They will fit on the majority of the big brand helmets; they’re lightweight and they’re not oversized. They are essentially a regular old pair of ski goggles, with some extraordinary technology overlaid on to them. So what do the Google Glass features deliver that are specific to the skier? Firstly, you get a fully functioning GPS monitor. This enables the goggles to collect interesting data based around your runs, and it can also act as a navigational aid if you like to go off piste. The display is built into the frame of the goggles, meaning that you simply have to glance down in order to see the vital stats. Secondly, the Smith Optics Recon goggles are able to display a host of stats that will seriously interest the freestyle skier. The heads up display unit will showcase the speeds you achieve, the jumps you execute (in a full jumps analytics suite) and your altitude, amongst a vast array of additional features. Thirdly, the Recon goggles connect to your smartphone via bluetooth. This enables the goggles to pull in important info from your phone, including incoming calls, text messages and even emails (god-forbid). It’s a useful way to keep in contact with your fellow ski party members, and to make sure you don’t miss an important message whilst on the slopes. Fourthly, you can pair up with your friends on the slopes and track their movements on an overlay map. The MOD live system are actively working on more apps that will be ready for Christmas, which will extend the functionality here. Seemingly they will pursue two angles; the first being the fun aspect of tracking your friends on the slopes, and the second being the potential safety benefits that this can bring.